An intoxicated driver is facing multiple charges after officers discover more than 8.5 pounds of suspected marijuana in the trunk of his car. In the early morning hours of November 17, 2015, Morristown Police Department officers responded to what appeared to be an under-the-influence driver on West Andrew Johnson Hwy. Officers discovered the driver, 33 year-old Jeremy Arrington of Jefferson City, to be highly intoxicated. He could not provide proof of insurance and had no driver’s license. While performing an inventory of Arrington’s vehicle prior to towing, officers detected a strong marijuana odor coming from the trunk. In the trunk, a suitcase was found containing eight vacuumed packed clear packages with what appeared to be marijuana. Officers also discovered $2,666 in cash. 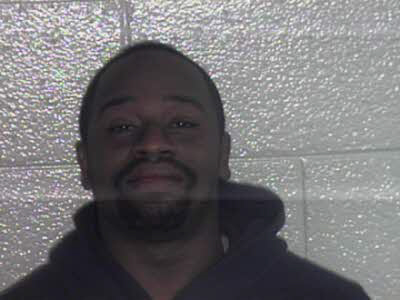 Jeremy Arrington was arrested and taken to the Hamblen County Jail. He has been charged with Driving Under the Influence, Violation of Implied Consent, Manufacturing/Delivering/Selling/Possession of a Control Substance, No Driver’s License and Violation of Financial Responsibility.